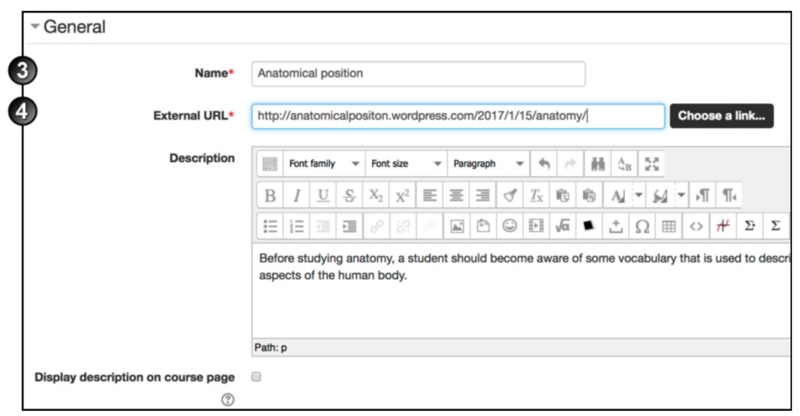 You can link from your Moodle course to an external site—for example, a relevant blog, a YouTube video. 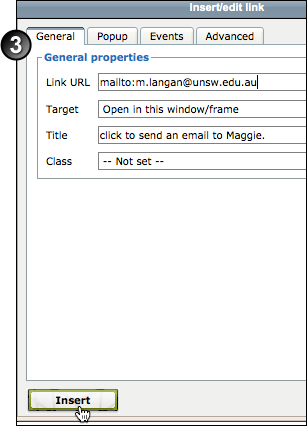 This page tells you how to create an external link within a section of a Moodle course home page, and how to create a link in the Moodle text editor. If you want to link to any of the UNSW Library's online resources within your course, go to the Course Materials and Copyright page to find out the correct way to do so. 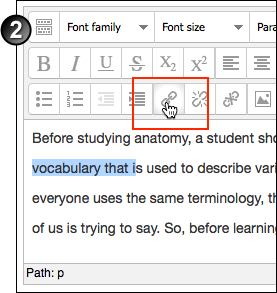 create, in the Moodle text editor, an link that students can click to go to an external site. When you know how to link to external sites, you can direct your students to examples, relevant news items or learning materials anywhere in the World Wide Web. Click Turn editing on at the top right of the page. In the appropriate section, click Add a resource or activity, scroll down and select URL from the pop-up list and click Add. On the Adding a new URL page, click Expand all at the upper right of the page, then in the General section enter a Name (to display as the link name) and a Description for the URL. click Choose a link and search for or select the URL in the File picker. 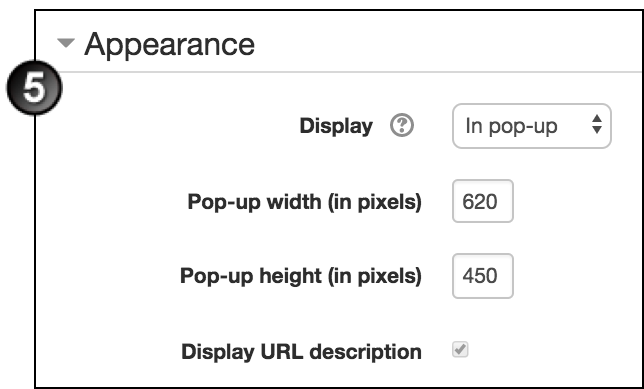 Under Appearance, from the Display drop-down list select In pop-up. 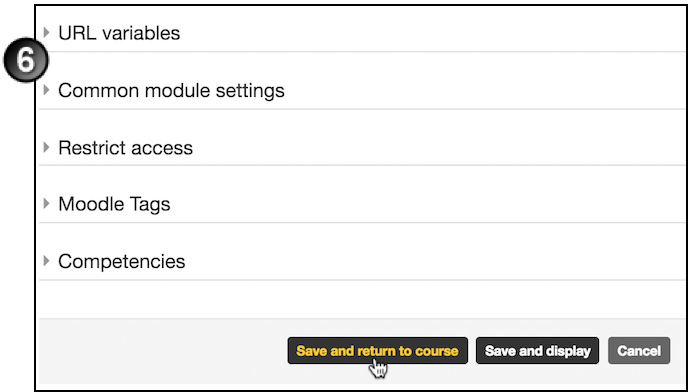 Complete the other page sections as necessary (Note: Do not add URL variables unless you are an advanced Moodle user), and click Save and return to course. 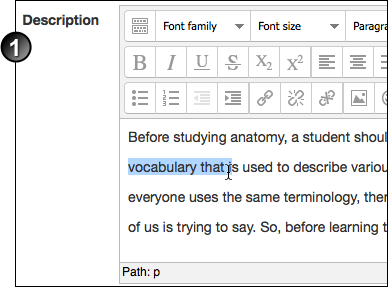 Select the link text within the text entered in the text editor. Click the link button in the third row of function buttons in the editor.